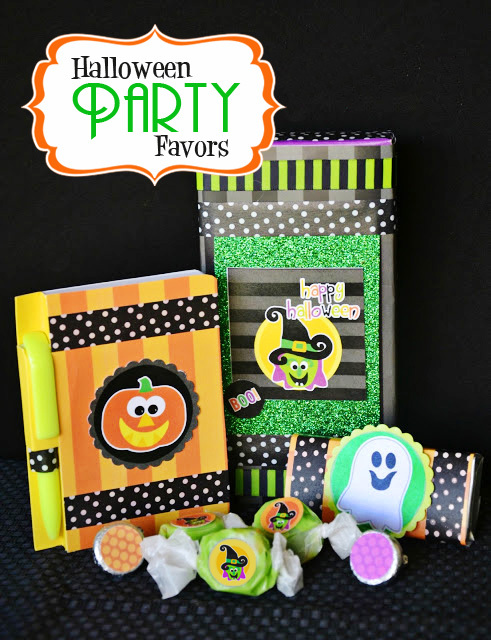 Halloween is just a few weeks away, so I thought it will be fun to share some fun Halloween gifts and party favors using the super fun and colorful Halloween Set from Amanda's Parties To Go. For a fast and cute Halloween treat, grab a couple of your favorite candy bars, packs of gum or notepads and dress them up using treat labels, tags and coordinating paper from Amanda's Parties To Go Halloween set. 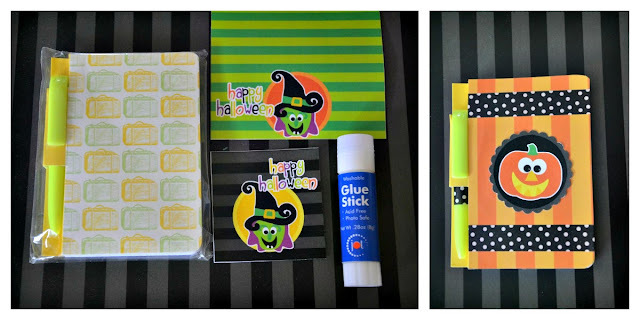 I added washi tape to complete the look. 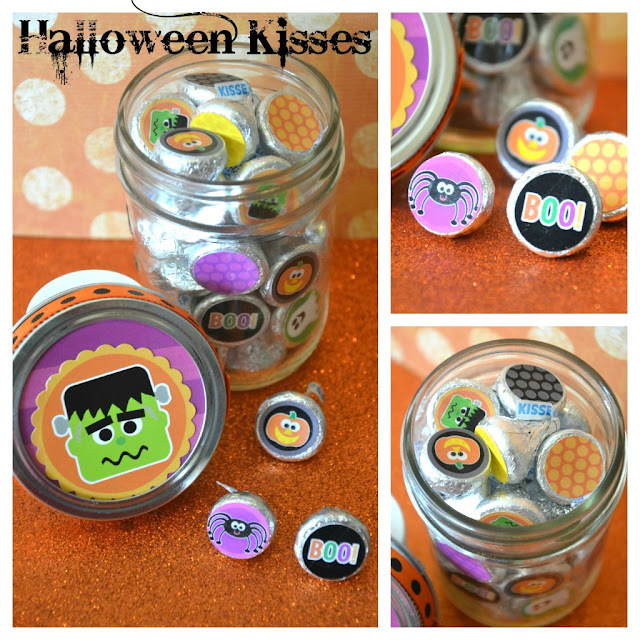 Mason jars gifts are always a hit and so easy to put together! Download the FREE kisses stickers HERE. 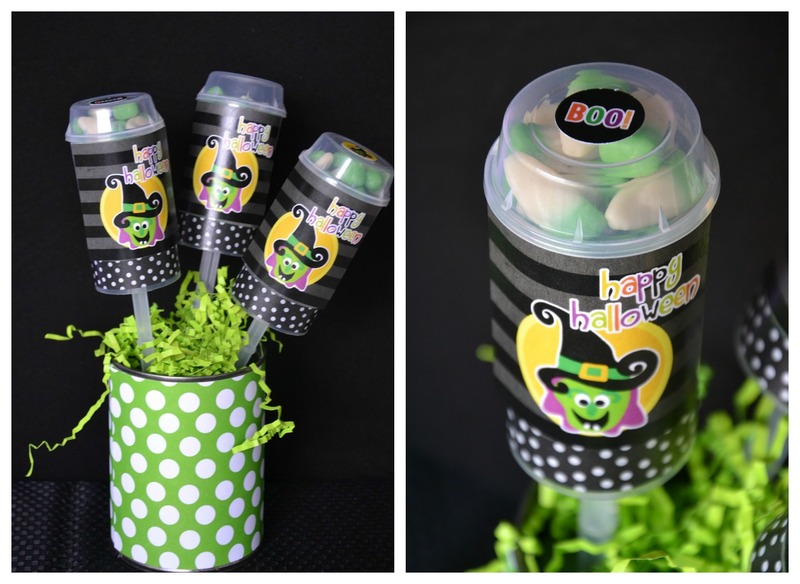 Create some Push Up Pops Candy Favors by adding some candy and embellishing the push up pops with some labels from Amanda's Parties To Go Halloween set. 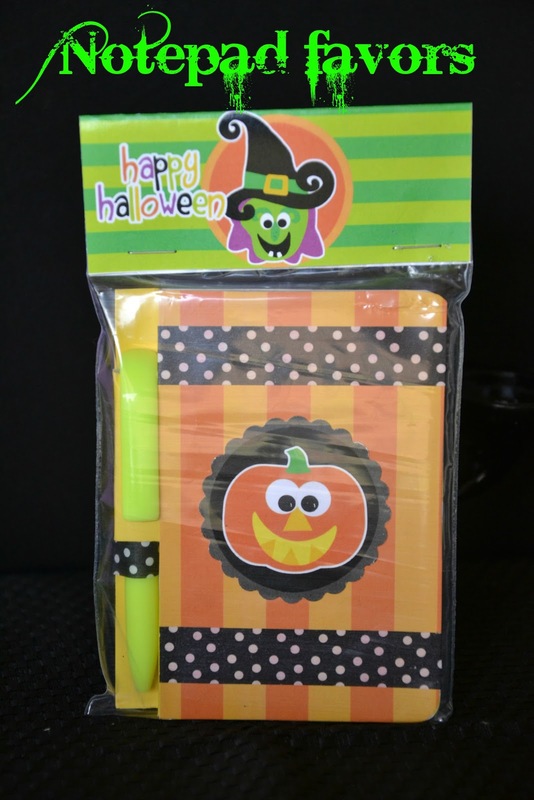 Instead of giving candy as a favor, how about transforming an inexpensive notepad into an adorable gift? 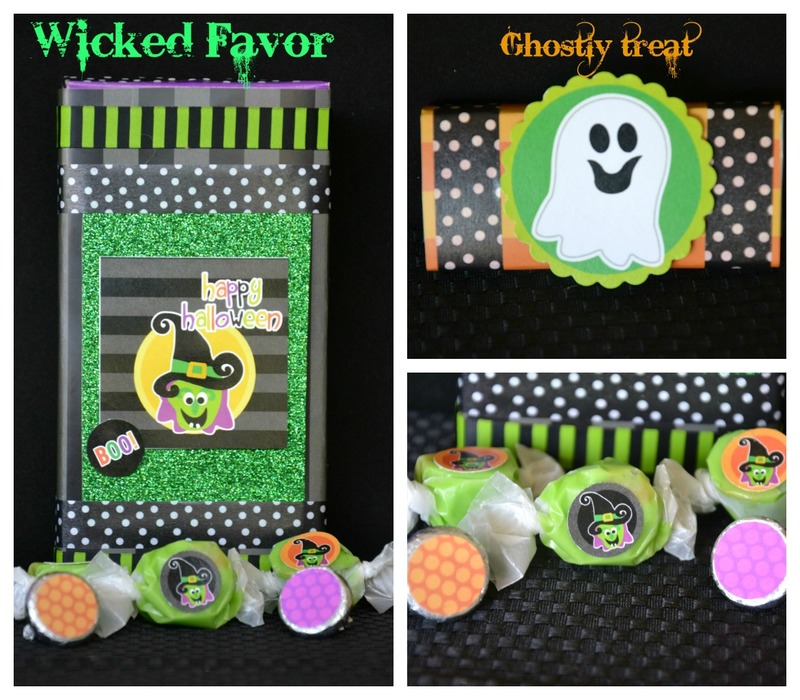 The set is only $9 right now (60% off) and includes a huge variety of designs for favors, decorating and of course to host a super fun Halloween party!